By Atticus | July 13, 2016 - 5:00 am | July 19, 2016 .30 caliber, .308Win, 2016, Ammunition, AR Platform, Bolt Action, Caliber Conversion, Conceal Carry, Customized, Long Range, Magazines, Military Arms, Name this gun, New Guns, Optics, Rifles, Scopes, SHOT Show, Sniper/SASS, WANT! The SX-1 MTR is an Austrian bolt action rifle that has an interesting modularity to it. It was designed by the Russian team who helped bring the Orsis T5000 to life. They have built a platform that allows the end user to customize this rifle not only in stocks, pistol grips and triggers but also in calibers as well. The SX-1 can be chambered in .308Win, .300Win Mag and .338 Lapua… almost as if they knew all my hopes and dreams… *clears throat* as I was saying the modularity of this rifle is rather impressive. The picatinny rails are attached to the barrel rather than the receiver so that you don’t have to rezero the rifle every time you change calibers if you want to mount three different optics to the barrels. The SX-1 does not use three bolts but rather one, that with a quick change of the bolt head, you can change calibers. Okay, so the carrying case is going to be big to fit all that expensive glass you are going to have mounted to each barrel, but we can save “some” space with the lack of three distinct bolts. When it comes to how the rifle feeds, you might be asking, am I going to be spending $100s on extra mags for each caliber? 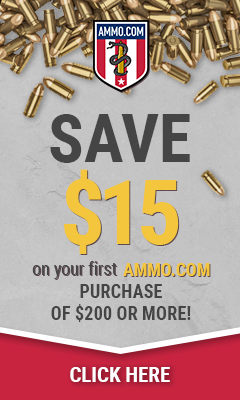 No, because they offer magwells that use SR-25 style mags for your .308 and Accuracy International Mags. The trigger is a Remington 700 so you can get after market triggers for this rifle which is an excellent feature. The stock and pistol grip use standard AR platform stocks and grips so you can customize the rifle even more. Personally, if I owned this, I would use the SIG Brace and call the whole rifle my pocket pea shooter. I don’t know about you, but I only would shoot this rifle off hand from a standing position, with a sig brace and arm fully extended. That is how you get SUB SUBMOA. On the topic of Remington Defense we look to their XM2010. Are you noticing a theme here? While this rifle is just an upgraded version of the Remington 700 (M24 or M40) it has the same looking features as the Ritter & Stark SX-1 MTR and the The FN Ballista just without interchangeability (GET ON THAT REMINGTON! Also make it available to us). I have yet to find anyone selling the Ritter & Stark SX-1 MTR rifle in the US. I am hopeful that maybe they will think about bringing it here by 2017 with an introduction at SHOT Show 2017. Since we are on the topic of suppressors, let’s shed some light on the new suppressors in the market with a quick simple introduction. The suppressors I am talking about is the patented Generation V Flow Through Technology, made by Operators Suppressor Systems located in Murray, Utah. First introduced at ShotShow 2016, the Generation V Flow-Through Technology, is a patented state of the art suppressor. I believe this will change how suppressors will be built for the years to come. Right now there are two types of OSS suppressors in the market. The first type is the Elite. The Elite is built for a fully automatic rate of fire. The Elite can withstand six cycles of 8 thirty round magazines with 5.56 ammunition on full auto. This suppressor is forged to withstand the extremes of full-auto fire. The next suppressor in the market is the Helix. The Helix is designed and built for tactical, professional, hunting, and sport shooters demanding the best reduction. The “plug and play” also makes it convenient for you to fit on the barrel. The .338, 50 Cal. and “Machine Gun” calibers are still being tested. These calibers are scheduled to be released later this year. The Helix and the Elite suppressor designs are both exclusively designed with the patented Generation V Flow-Through Technology and the rights are owned to Operators Suppressor Systems. Stay tuned on how these suppressors work! The idea behind our project is to build out an AR-15 using the Windham Weaponry RMCS-4 as the base and build out the parts to make this rifle more rounded out by using various parts from the industry. Outside of Windham Weaponry supplying the rifle, we have a few companies who have already sent us a piece for the review. We will be reviewing this rifle for 1 year. We will be reviewing each additional product sent to us, on their own in an individual review, as well as part of the final overall #WindhamProject review. We are looking for parts that fall under the RMCS-4 parts that would be considered “stock parts” i.e. the stock, pistol grip, BCGs*, products of that nature. Windham has built a platform that we believe is great for someone who may be limited on space and would like to own more than one rifle but space permitting is just not feasible. We want to expand on that idea. I had no clue Nikon made sport optics prior to going to my first SHOT Show. I only knew Nikon as the company who had made my last 3 digital cameras and outside of that I really didn’t know anything else. I am not a distance shooter, but I enjoy the time spent practicing. With that said, I do not at this time, see a reason for me to spend $10,000 on a rifle and optics because I don’t shoot farther than 400 yards. I just need a good bolt action and clear optic that will let me see 400 yards. I have mounted this Nikon Monarch 3 6-24×50 SF Matte BDC on my Mossberg ATR .308 which came with a inexpensive optic. The scope that came with the Mossberg was okay and worked out to 200 yards but it just was not a good scope for anything past that. I wanted a scope to replace the old one and let me ring the gong at a distance. Nikon does not want to just give you the normal scope and paperwork. They want make sure you, the consumer, get what I like to call: the happy meal. Open the box and be happy to see: Monarch 6-24×50 Side Focus Matte BDC, Nikon sunshade, Nikon low-profile adjustments with caps, target-style high profile knobs with caps and tapered easy grip knobs. This means the scope comes with the inclusion of two additional sets of turrets. One set is a high profile (tall) turret for target and tactical shooters, (it includes the appropriate size high profile turret caps). You also get a wider style turret, which gives the shooter more real estate to make quick adjustment (the wider turrets do not come with caps). While I had wanted to send this scope on an Elk hunt on the Wyoming/Colorado Border. We did not have the time to do this before writing the review. We did not put this scope through any durability testing outside of the normal bouncing it gets inside the pelican case in the bed of the trucks on the dirt roads. The scope stayed zeroed in every time we pulled it out of the case after driving to the range. I like this reticle. Shooting a .308 bolt action using this scope made it easy to shoot at multiple targets at different ranges. If you have not spend much time behind a tube scope, the turrets on the scope are how you adjust for windage and elevation. The benefit to a scope with turrets is that it allows the shooter to zero the rifle to a distance (We will say 100 yards for the sake the explanation) and then reset the turrets MOA markings to the zero mark so you can always return your scope back to the distance you had it zeroed in for. The turrets are not mushy. Each 1/8 inch click is positive and audible making for very noticeable adjustments. This scope is $699.95 on Nikons’ website, but you can find it online for around $660. 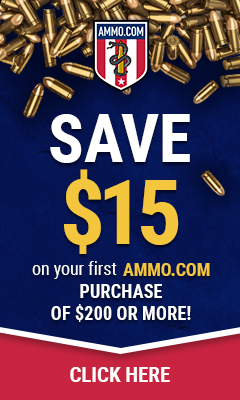 The price might not be what a newer shooter would want to spend for their first rifle. For someone who knows how to shoot at longer distance and is looking for a quality scope this price isn’t going to break the bank. Nikon has pleasantly surprised me with a clear, easy to use and affordable scope. I was very impressed with how clear the glass was. I would say that it is fairly close to the Leupold clarity I have in the multiple scopes I own of theirs. The scope has three different style turrets for different types of shooters which is a big bonus in my book. The quality of the scope meet the expectation set by the price. I cannot speak to shooting past 400 yards but to that distance I can say this scope was clear and crisp. As I discussed in the review of my Windham .308 AR, I am someone who likes to be able to get as much meat on a charging handle as possible. I want to be able to grip and rip when I am running my rifle and the milspec charging handle is just too small in my opinion. When I have to pull back a .308 bolt carrier group, I want to be able to do that without losing grip. The old saying of “If it ain’t broke, don’t fix it” came to mind a lot during my research phase of changing the charging handle on Windham .308 AR. My AR-15 (AWS ZA-15) came with a Mecharmor TacOps-1 charging handle. I fell in love with it the first time I racked the bolt back. I have used the Mecharmor charging handle in my training and I have committed the feel to memory. As I said, if it ain’t broke, don’t fix it. It was obvious that I wanted to get the same charging handle for the Windham .308 AR as I have on my AWS ZA-15. There is no doubt that the Mecharmor TacOps-1 charging handle beats the Milspec handle by a mile when it comes to size. Having the Leupold scope mounted where it is normally, you would have to use two fingers to rack the bolt with the milspec. The Mecharmor TacOps-1 is an ambi charging handle. If you like the compact size that a milspec charging handle has to offer then the Mecharmor TacOpst might not be for you. It could create more snag points for when you are using the sling, but I have never had a problem with snagging, so that is just a theory. Both of the Mecharmor TacOps-1, the .308 and the 5.56 are just under $70 which is on par with most ambi charging handles. I am interested in doing some comparison testing with other brands of charging handles which might be something I will try to work on this year. Keep watching for any follow up.